When it comes to sales, you can’t make a first impression twice. And even though it goes by in a flash, an elevator pitch is one of the most valuable sales tools to have in the ’ole sales toolbox. 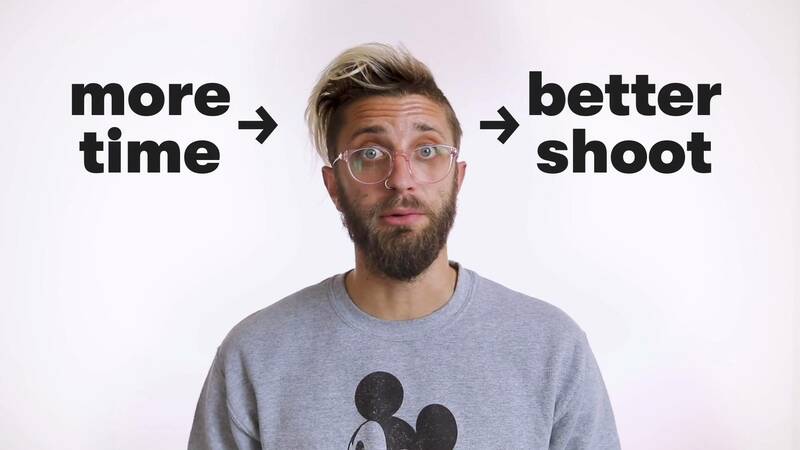 When you pitch your product, you’re crafting the story that will (hopefully) make the person on the other end of the line care about your brand, product, and even you personally. Introducing your product in a compelling way will get more customers through the door and into your sales funnel, which is usually the ultimate goal! So, what is an elevator pitch, you ask? Simply put, it’s a brief, persuasive speech that salespeople can use to spark interest in the product or service their business provides. 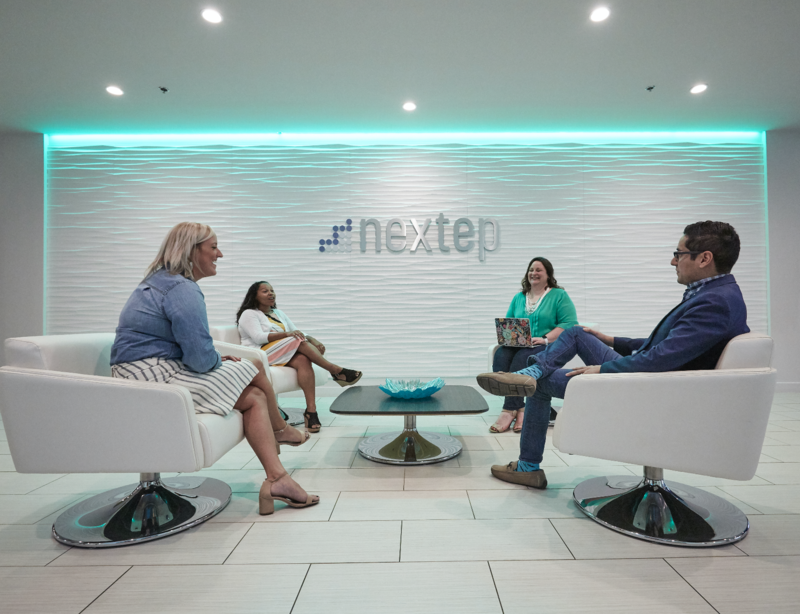 A video elevator pitch, on the other hand, takes the process out of the elevator, hallway, or conference room and puts it directly in your potential customer’s inbox. Look at all the energy you can convey with a video! So what if Trevor had three cold brews? With video, any member of your sales team can become a pitch-pro in no time. So, if we’ve piqued your interest even just a little (and we hope we have … are we doing a decent job with this pitch? ), here’s how you can craft a winning video elevator pitch for your company today! An elevator pitch relies on emotion to be effective, but it’s still rooted in concrete goals. 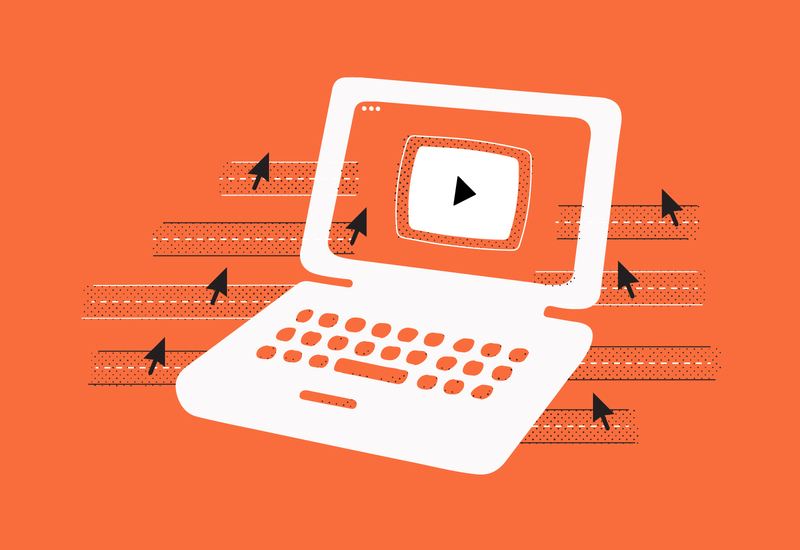 Before you start crafting your pitch, consider what you’re trying to achieve with your video. Ask yourself, “What will a more effective product introduction accomplish?” But, before you attempt to write a value statement, winning anecdote, or closing kicker, it’s important that you write down your goals. You can use the “SMART” framework for setting goals for your videos. SMART goals are: specific, measurable, achievable, relevant, and time-bound. Whatever your goal may be, you can plan and execute an elevator pitch video right from the comfort of your desk. Our free webcam and screen-recording tool, Soapbox, let’s you record yourself and your presentation side by side, giving you all the tools you need to convey your message in a more personalized, friendly way. So, give it a whirl if you haven’t already! Now that you have your goal in place, let’s walk through the recording process step-by-step. Dab that forehead sweat off, because we’re about to get in front of the camera. 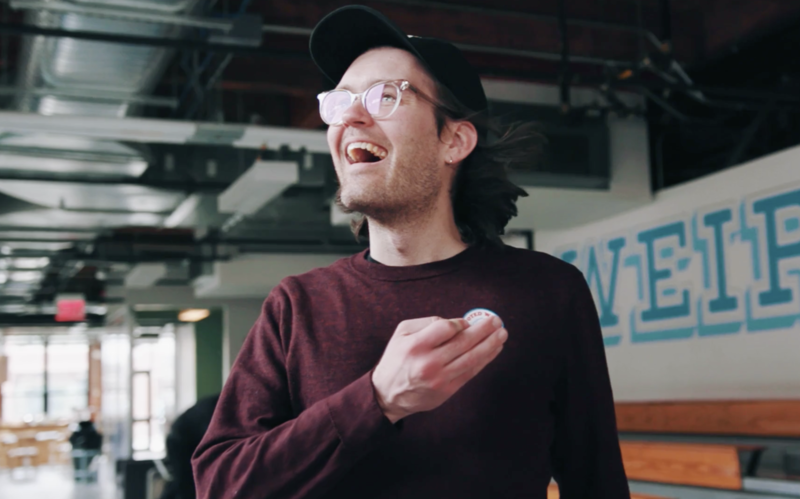 Check out this example of an elevator pitch video from Katie, a Senior Account Executive on Wistia’s sales team. She does a great job of setting the stage, presenting the problem, and offering the solution. And because Katie creates these elevator pitch videos on a regular basis, her confidence and expertise shines through. Let’s be real — not everyone can pull of those shades, but somehow Katie nails it. 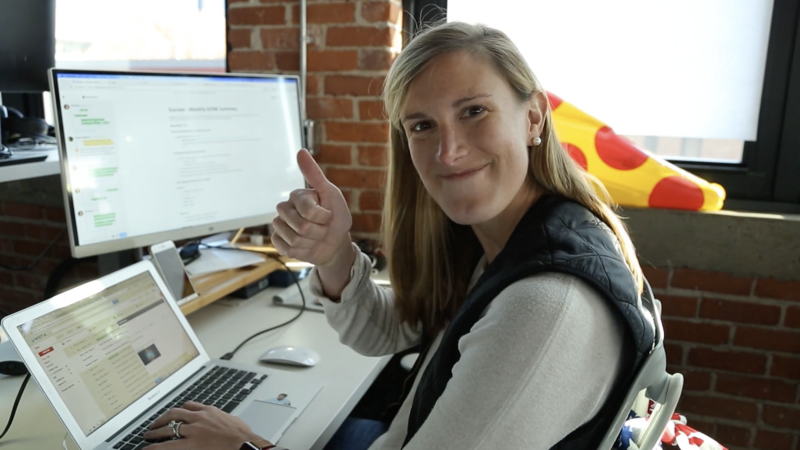 In this 1-minute video, Katie is able to quickly offer some advice to help Keeper Security recognize a missed opportunity right on their website’s homepage. 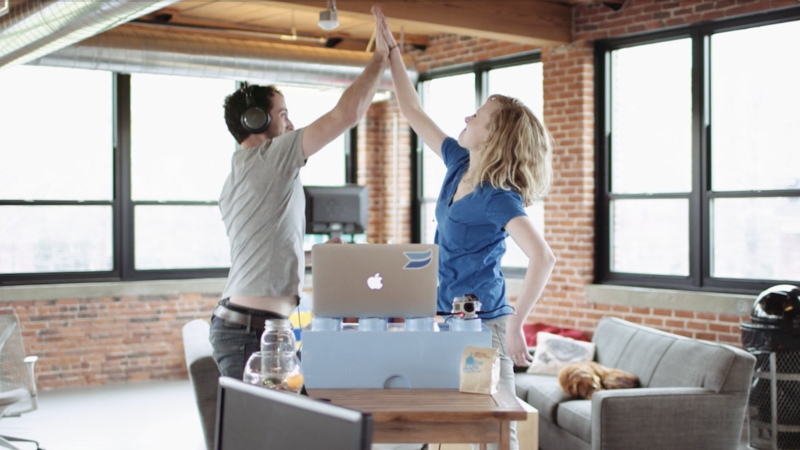 She does a great job of introducing how Wistia can help them get more out of the videos they create. By using our CTA feature and closing the loop for the viewer, Keeper Security can increase the number of conversion opportunities they have on their site. Structuring your elevator video script this way makes it easy for customers to envision how their day-to-day could be impacted or improved by using your software or service. Tweak your elevator pitch to fit the customer you’re presenting to by showcasing a more personalized solution based on what you’ve learned about them from preliminary research. At the end of the video, give your viewer the opportunity to connect with you to discuss what you’ve pitched to them further. And remember, you want to provide enough value up front to entice them to schedule a call, so aim to be super helpful! Wondering how you’ll actually be able to create a video like this yourself? It might sound daunting at first, but once you get one under your belt you’ll be rolling in no time. And while going from text-based pitches to video might feel like a radical change, it can really help you foster a more personal sales process, which is a win-win for all! Lighting: If you can, ditch the dingy cubicle and find a brighter space with lots of natural light. Avoid sitting in front of a window or directly under a ceiling light. If you’re unable to find a well-lit space in your office, you can easily purchase a USB-powered LED light to help brighten things up a bit. Oh, and have you heard about our Soapbox Stations? You can create your own professional-quality, mobile video studio by purchasing a few small pieces of gear — check it out! Noise: Audio can be pretty tricky, especially if you have a big office with lots of people mulling about. Try to find a nice quiet spot to record if possible, but if you really can’t escape the noise, plug in some headphones with a built-in microphone like that one Katie used int he example above. You should be able to cut through all the background noise more easily this way. Appearance: It’s important to be comfortable and wear what makes you feel great, but we’ve found that solid colors and simple fabrics work best on camera. Make sure your camera is raised to your eye-line, position yourself about an arm’s length away from the screen, and keep your background clear of clutter so that you can keep the focus on what’s important — you! Above all else, it’s super important to be yourself in your elevator pitch video by delivering a great performance while still sticking to your script. Following the loose plan you already came up with will help keep your jitters at bay while letting your personality shine. It’ll also reduce the chances that those pesky “likes” and “ums” will sneak their way in, though it’s natural for a few of those to pop up throughout your video — so don’t stress! Your elevator pitch won’t be as effective if you don’t have a way to easily connect all the dots. Always make sure to add a CTA (Call to Action) at the end of your video to get customers over the conversion hurdle while your pitch is still fresh in their minds. If you’re using Soapbox to create your elevator pitch, you can navigate to the Customize panel to add your CTA. Now, your viewer can more easily move down the funnel right from their screens, whether that’s by booking a meeting, viewing another video, or accessing a document. Plus, we now have integrations with HubSpot Meetings and Calendly, so you can easily sync things up with the tools you already know and love! 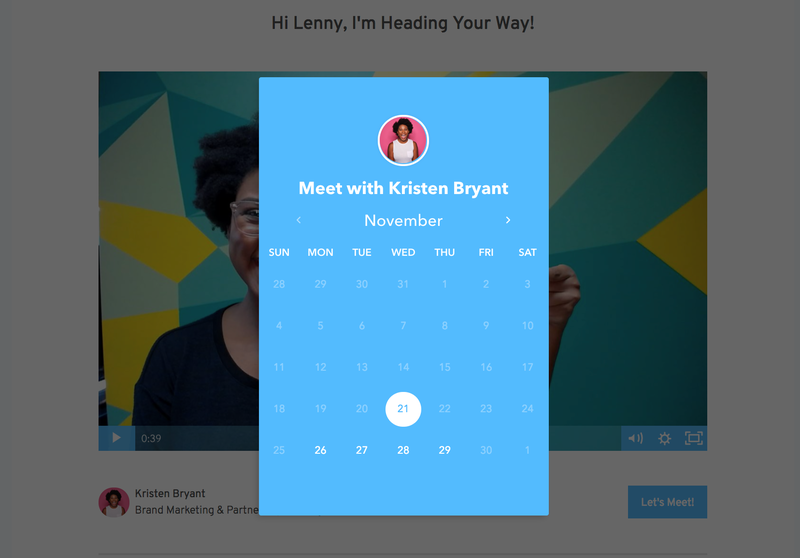 Booking meetings directly from your videos never sounded so sweet. With every pitch you send, try testing out different CTA copy to see what works best for your business. And remember, the end of your pitch is a pretty big make-or-break moment, so it’s important to provide some clear next steps to ensure that you’re taking care of leads and moving them along smoothly! Last but not least, you need to actually deliver your elevator pitch video to the customer. You’ve probably already acquired the lead’s email address, so it’s super easy to kick off the relationship by adding your pitch to a simple email. You may recall from Katie’s example that she references “what she wrote above” in the video. That’s because she included an abridged text version of her message above the thumbnail in her email. Doing this will give your viewers the opportunity to choose their own adventure when it comes to consuming your message. You want to make pitching your product as frictionless as possible, so give your viewers options. Add in a written synopsis of the pitch along with a friendly greeting and a promise to follow up! This is Ali. Ali always follows up. Oh, and don’t forget to dress up your email with a personalized, relevant subject line that hints at what’s in the video. 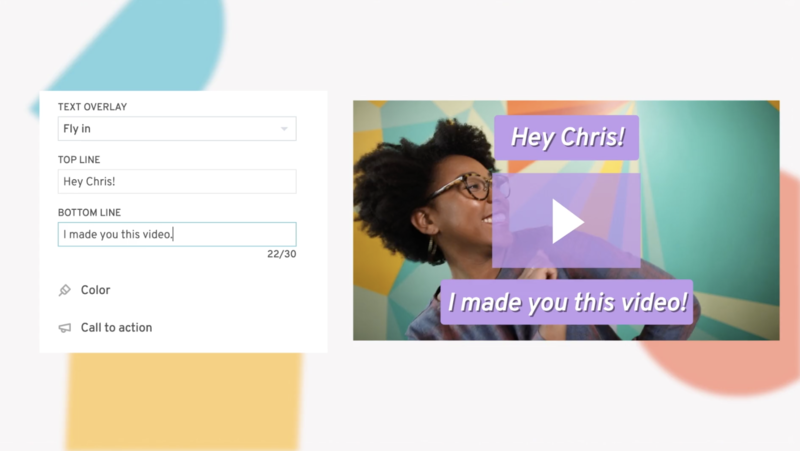 Let your recipients know there’s a video in the email by including the word “video” in your subject line and email text. Mastering the video elevator pitch can really help you create a more personalized sales process. With video, elevator pitches are no longer limited to in-person contact and chance meetings with decision-makers. Keep in mind, your main goal is to show your value and make a positive first impression. Sounds like a tall order for such a short period of time, but video can help put a face to the name and let your authenticity shine through! Sounds like you’re ready to make professional-looking sales videos in minutes with just your webcam and a smile. Try out Soapbox today — for free!